Please make your reservations by calling (270) 924-1131 or (800) 325-1708 and ask for: Kentucky Municipal Utilities Association (KMUA) room block. 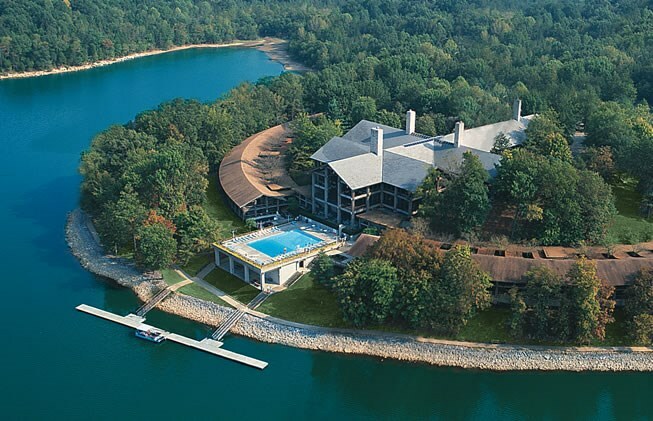 A block of rooms has been reserved at the world-class Lake Barkley lodge located in Cadiz, Kentucky. The lodge was designed by Edward Durell Stone, and seems to just emerge naturally from the wooded shoreline that surrounds it. Using a post-and-beam wood construction of Western Cedar, Douglas Fir, and three-and one-half acres of glass, the recently renovated Barkley Lodge complex provides a lake view from the private balconies of most of the 120 rooms and four suites. Lake Barkley State Resort Park rests on the shores of one of the world’s largest man-made lakes and provides for an array of outdoor activity which includes swimming, hiking, golfing, boating and fishing. KMUA will host a golf scramble at the Boots Randolph Lake Barkley 18 Hole Golf Course on Thursday morning, July 26 at 9:00 am. Each player should arrive at 9:30 to check in and pay the cart and green fees at the “Pro Shop.” Lunch, refreshments, and goody bags will be provided. Prizes will also be awarded at the banquet Thursday night! Please sign up on the enclosed registration form. The Telecommunications Committee, Chaired by Wayne Goodrum with the Franklin Electric Plant Board, will meet at 12 noon in the Park’s main dinning room for lunch. The meeting will be in the Sunrise Room located in the main lodge. Wayne will be sending the committee members a detailed agenda for this meeting. Wayne may be reached at wgoodrum@franklin-ky.net. KMUA will host a reception, sponsored by Central Service Association and dinner, sponsored by Exacter, Inc. The reception will begin at 6:00 pm and dinner will be served at 7:00 pm. Valued associate members are invited to setup an exhibit table in the Convention Center. (additional information below). Our Special Guest Speaker for dinner will be the Honorable Whitney Westerfield. Senator Westerfield represents Senate District 3 (Christian, Logan and Todd Counties). Senator Westerfield is Chairman of the Senate Judiciary Committee. Senator Westerfield is a well known advocate for Kentucky’s children and a candidate for Kentucky Attorney General. Associate members are invited to setup an exhibit table in the Convention Center(please see sign-up on the enclosed registration form). Exhibit tables may be setup between 3:30 and 5:30 pm. Exhibiting is between 6 :00 and 8:00 pm on Thursday. KMUA will encourage our members to stop by your exhibit tables. If you wish to giveaway a door prize you will be asked to come up to the podium after dinner and you may draw the name of the lucky winner from a bowl that contains (the names of utility members in attendance) or you can have attendees register at your table to be eligible to win! KMUA will host a breakfast in the main dining room for all members from 7:00 am until 9:00. Special Guest Speaker, Tim Blodgett, CEO and President of Hometown Connections, will kick off the board meeting at 9:00 am in the Sunrise Room in the main lodge. A more detailed agenda will be provided to the utility members prior to the meeting. Secure your spot at this exclusive KMUA Event with our easy online registration.